Juliet Stevenson's eloquent delivery of Jane Austen's classic Emma is by far the best. Carefully read, she gives emotion and life to this timeless classic. I am a fan of Jane Austen and I enjoyed this novel. It was entertaining and kept my interest up but it is not her greatest work. Pride & Prejudice remains my favourite. I am glad I listened to it and the narration was well done. Narrator was the best part. Story is good but long and tiresome in its description of character's especial qualities or shortcomings. However, quite enjoyable, even if predictable. "MA two letters that spell Perfection"
This is the best interpretation of Emma I have ever heard or seen. Juliet is perfection. It is a classic and therefore no comment required on the story. the rendition is what matters. There were never any moments where credibility was stretched by the reader. Please have this reader do an unabridged version of Prose and Prejudice. I love everything about this book and narration of it. never get sick of it. The narration was great but above all else the story was simply as I expect it to be. It is so hard to find really good literature in modern times and that is why we have the classics... Authors like Jane Austen are constantly my 'fall back' plan really when I am looked to be immersed in a story with actual characters, characters that are so imperfect and yet so absolutely perfect in the roles they play. Most persons already know the story of Emma, there are enough movies about the book in modern time for many persons to at least have some idea of the story. The novel was rightly named Emma and is easily one of my favorite female characters and, at the time the novel was written, was decades ahead of her time. 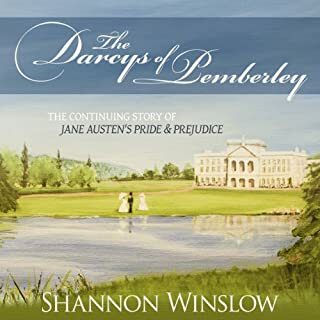 The dynamics and description of details between the very relationships between the characters in the book by Jane Austen is what sets this novel apart I believe. Truly, just plain majestically written. The narrator was good, she did a credible enough job to carry the book off. I will admit that she could have done more, but in all honesty the content itself more than overcompensates for the less than stellar narration. 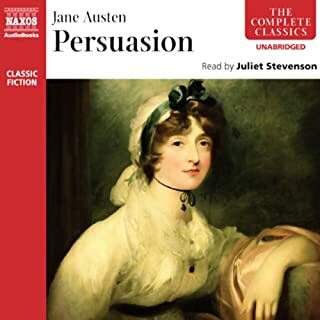 Juliet Stevenson, by far, does the most delightful narration for Jane Austen novels.Her voice is strong and clear and she creates memorable characters with pitch and accent so that you always know who's speaking. I thoroughly enjoyed every moment. Some people don't much like the main character in "Emma". I disagree, because Emma Woodhouse, although she initially has an inflated view of her own intelligence and position in the world, really learns something during the course of the novel. Handled with humor and understanding, the story brings self-knowledge and a measure of humility to Emma. She is one of Austen's most well-rounded characters. Other characters in Emma are among Austen's very best. And they are presented with enthusiasm and distinction by Juliet Stevenson. Although there are less expensive versions than this one, Stevenson is truly worth the extra. If you have credits, then it's a bargain at just one. Jenny Agutter is also a very good reader. Just make sure you go for an unabridged recording! Jane Austen's main appeal is in her wonderful use of language -- don't miss any of it! To me the most important review for any Jane Austen novel is the reader. Most likely you are familiar with the author. Emma is however, one of Austen's lesser known novels so I'll simply say, if you enjoyed "Sense and Sensibility" or "Pride and Prejudice", you will enjoy Emma. 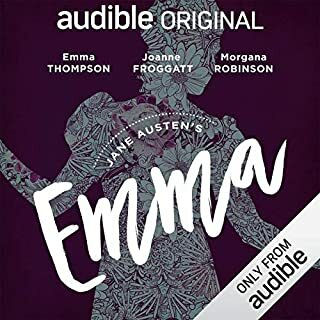 I was surprised to see how many audible versions of Emma are available. How to choose? Happily, I spent a bit more and went with this version. 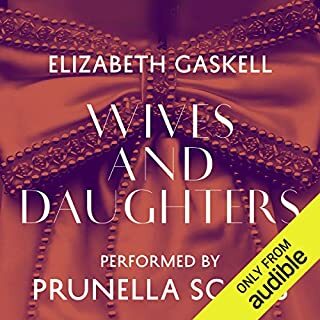 Even Emma would approve this marriage of Jane Austen's writing and Juliet Stevenson's narration. If you love the beauty of the English language used to it's best advantage (as Jane would say) you don't get better than Jane Austen (Shakespeare is a given) but any reader can do the exquisite writing justice. Juliet Stevenson is such a reader. Her tone reminds me of the great Julie Andrews. 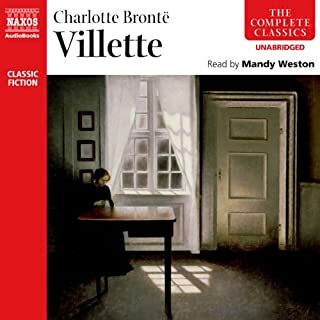 Soothing, expressive, imparting emotion with every passage, inhabiting the various characters with subtle differences that make each one distinct. Jane Austen and Emma would both be proud of their story as told by Juliet Stevenson. 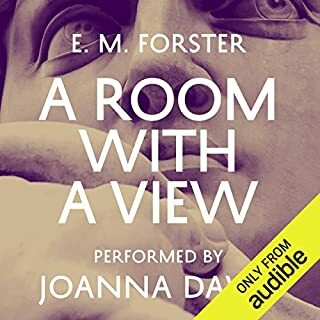 Emma, one of Austen's three most polished, perfect novels, is comfort food for the brain even in print, but this recording transcends any other possible reading experience. Juliet Stevenson is the ideal narrator for the material, and expertly brings to life Emma (the character Austen feared "that no one but myself will much like") and all other characters without exaggerating any (with the possible exception of Mrs. Elton--the character Stevenson plays brilliantly in the 1996 film version starring Gwyneth Paltrow--who inexplicably has a heavy Cockney accent in her final scenes here). 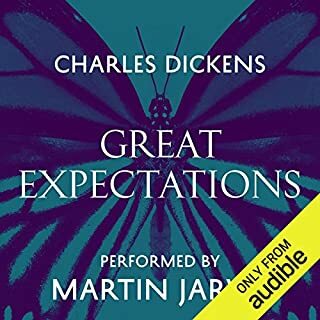 This Audible selection truly is chicken soup for the soul, and a recording you will want to listen to again and again. Each time you read or listen, you'll notice new clues, dropped by the author, which Emma notoriously overlooks in her zeal to see her ultimately doomed matchmaking schemes to fruition. It's very much like a delicious Easter egg hunt, and the perfect comic novel in which to marvel at that fine line between comedy and tragedy, as you realize the dreadful consequences which COULD have resulted from Emma's various "imaginistic" meddlings. I finished listening while recovering from a severe cold, and immediately started the recording over when I realized how fun, comforting, and healing I had found it. Enjoy! Juliette Stevenson does a wonderful job narrating this story. It's one of my favorites! Well done all around. 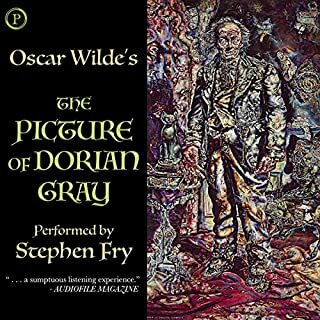 The narrator does an excellent job with getting all the voices just right, my favorite performance of this classic story. The ambitions of each character was easily determined as Jane Austen's work quickly got underway. 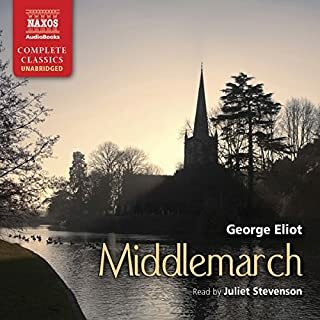 With all the matchmaking that took place in the times, Emma's social meddling gets her into a predicament with her friend Harriet, who Emma tries to set up with a man whose ego will not allow such a match to be made. Such a social hierarchy was a staple of the times and Austen illustrates both its purpose and its ridiculousness at the start. 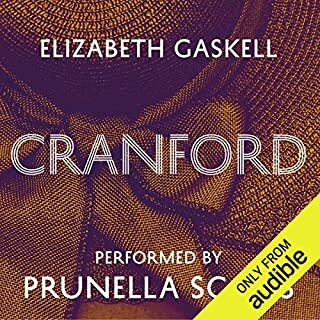 Due to Emma's fear of ruining her friendship with Harriet, she avoids her friend's company as best as she can, until the examination of her own romantic life requires a meeting. From the beginning of their encounters, it is clear that Emma and Mr Knightley would make a great couple, as he is the only one who can put up with her sarcasm and dish his own out as well. But her lack of interest in a partner (or perhaps her own ego) keeps their romance from reaching the levels the reader knows it could - at least, at the beginning. Once Emma decides to quit meddling in other people's affairs, she begins to examine her own life and her desires of a relationship, something she's slipped to the side until now. Finally, she begins to wonder what she wants in a man and comes to identify her wishes in the end. Juliet Stevenson's performance of each character is terrific, especially when it comes to those of Miss Bates and Mrs Elton. 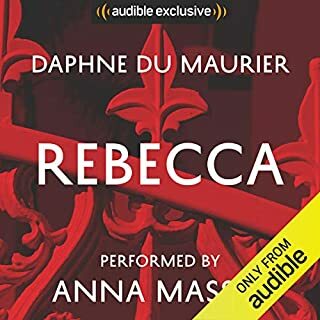 Just as the sentence structure displays, Miss Bates rambles on to no end, rather annoyingly at times, and the narrator's performance of such a characteristic feature is flawless, as is the pronunciation and clarity of every line in the book. Well done Juliet Stevenson! 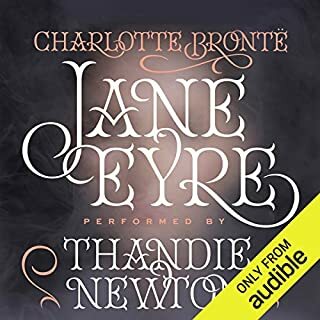 I have had pleasant experience with Nexos Production since 1994, and this rendition of Austen's Emma is as charming and spirited as I could have hoped, the narrator was fantastic in her alteration of voice denoting different characters, absolutely recommended for K-12 and English undergrad. 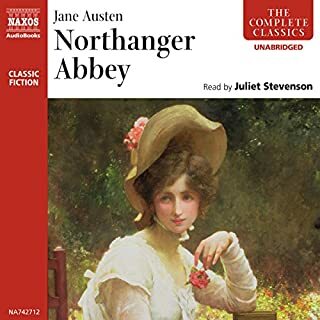 I became interested in the classics after listening to Pride and Prejudice and Zombies, so I decided to listen to another Austen and was pleasantly surprised to enjoy it so much. 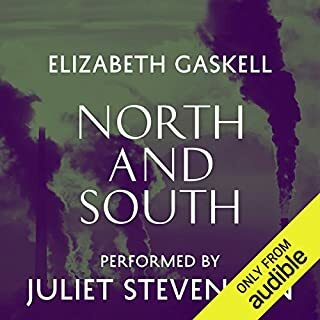 Juliet Stevenson is a wonderful narrator and brings each character to life. If you think you might want to give classic literature a try, I recommend this one. It's funny and extremely well-read. An exquisite reading by Juliet Stevenson, who understands each character so well. 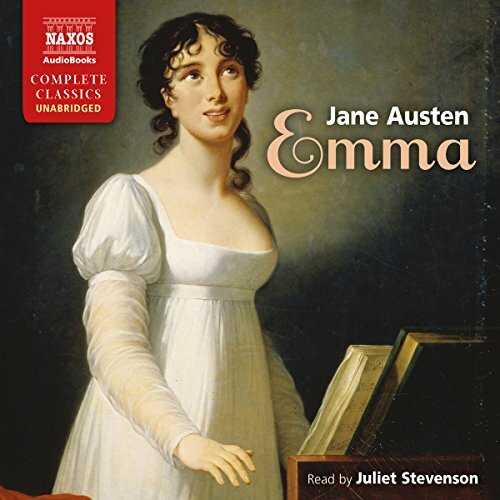 This is a really nice version of Jane Austen's Emma. Emma can be a little harder to like than some of Austen's other heroines. 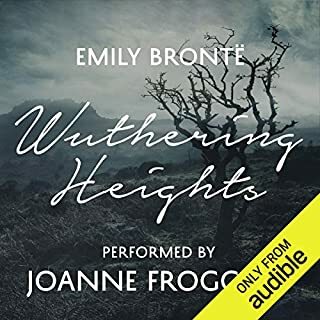 However, Juliet Stevenson's reading breaths life into this in a really positive way - not playing down any of the negative characteristics of Emma, but not making you think that Emma was too much of a dolt. I had forgotten how much more subtle Emma is than the film dramatisations manage. As ever, Juliet Stevenson does a cracking job. Juliet Stevenson does absolute credit to the wit, warmth and subtlety of one of my favourite Austen works. Such a treat! Of all the titles I've listened to, this is by far my favourite. I come back to it again and again, sometimes the whole thing and others dipping in to hear my favourite moments and to indulge my love of Mr Knightley. The combination of Jane Austen's words and Juliet Stevenson's narration is utterly perfect. The reader gives excellent variations in voice and tone as I would have imagined the characters to sound. I never tire of listening to this interpretation . Juliet Stevenson at her best! This epic story by Austen is brought to life by Juliet Stevenson. She is an absolute gem at story telling. 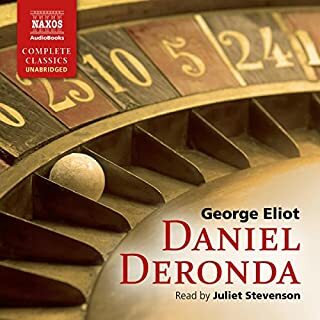 I've listened to Juliet Stevenson's narration of this story once before, and loved it so much I chose to listen to it again - all 16+ hours! The story is Austen at her best - great characterisation and witty story line. But Juliet Stevenson really brings this story to life. Her interpretation of the characters and her choice of accents and 'voice' are brilliant. Give it a few months, and I'm sure I'll want to listen to it all over again! We do love Emma, Miss Austen! Jane Austen decided to write a heroine that no one but herself would like. Maybe then but now Emma lives on as the most delightfully spirited, frequently needing a good shake but still most loveable of all Austen's heroines. The novel is all wit and sparkle. 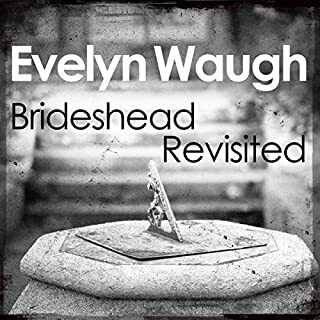 Juliet Stevenson narrates it beautifully (wait for her Mrs Elton!). 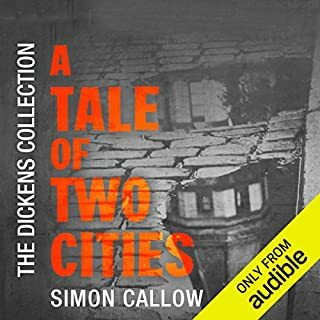 I loved this buy from Audible and recommend it to all customers!